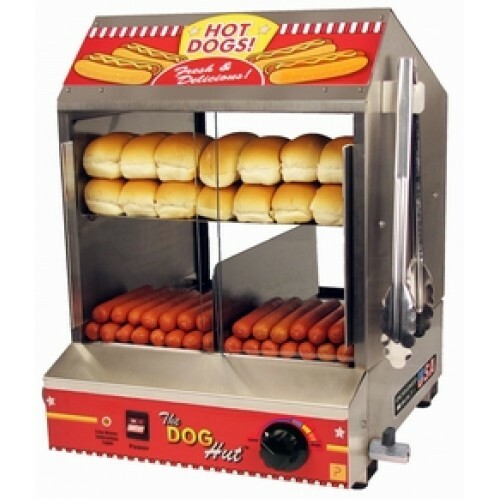 Manufactured Fun Hot Dog Steamer & Hot Dog Bun Warmer: THE DOG HUT is intended to set the standard Par Excellence for Hot Dog Steamers. 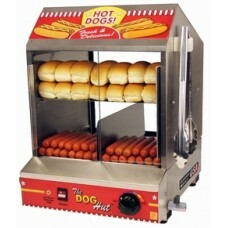 Our paragon brand hot dog steamer is covered by Paragon's new and exclusive 5 Year Warranty! This hot dog steamer/cooker is ideal for use in Rental Shops, Convenience Stores, Concession Stands, Vending Carts, Break Rooms, Fast Food Restaurants, Snack Bars, Cafeterias, Ball Fields and many others! Carries a 5 Year Warranty!